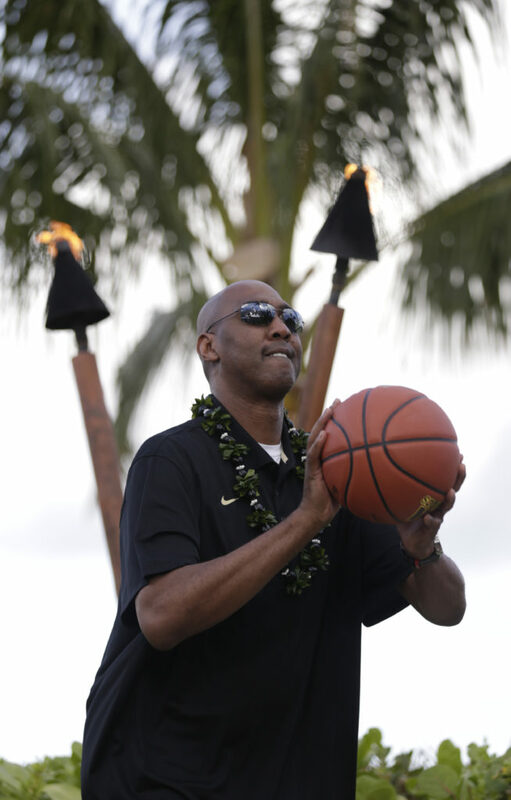 Former Kansas assistant, player and current Wake Forest head coach Danny Manning takes a shot during a free throw challenge following a press conference with the Maui Invitational coaches on Sunday, Nov. 22, 2015 outside the Sheraton Maui. Lahaina, Hawaii ? There’s still something more than a little strange about seeing former Kansas University great Danny Manning decked out in colors other than crimson and blue. It’s not that the second-year Wake Forest coach, one of eight coaches who brought his team to this year’s Maui Invitational, can’t pull off the long black Wake polo and the black-and-gold shoes he wears more often than anything else these days. It’s just that he still looks most at home when surrounded by Kansas people, wearing Kansas clothing, waving Kansas colors. Manning, 49, has had plenty of opportunity to soak up that scene so far here in Maui, with his alma mater one of the seven other schools vying for this year’s Maui Invitational title. And during the couple of days leading up to today’s tipoff — Wake Forest plays Indiana at 5 p.m. tonight — Manning’s chance to vibe off of fun in the sun with his new family and mix it with the unconditional love of his old family has made this trip to Maui one of his best. 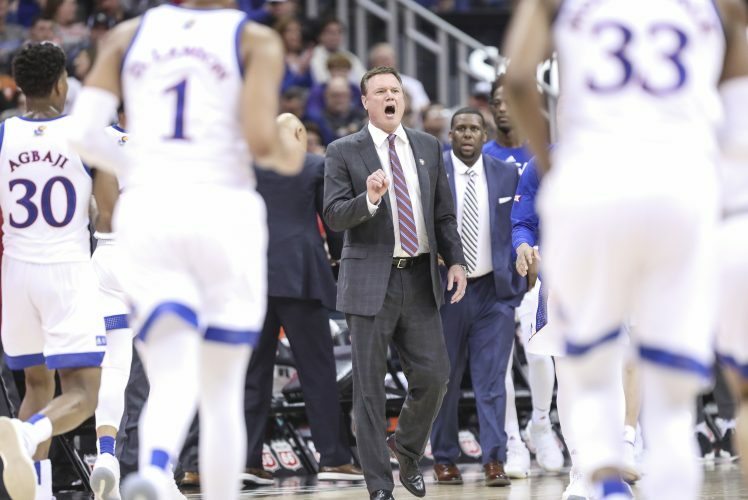 The whole thing is made a little easier, at least for Manning and his family, by the fact that Kansas, with Manning’s son Evan in uniform, and Wake Forest are on opposite sides of the tournament bracket and likely would only meet if both were to advance to Wednesday’s championship game. 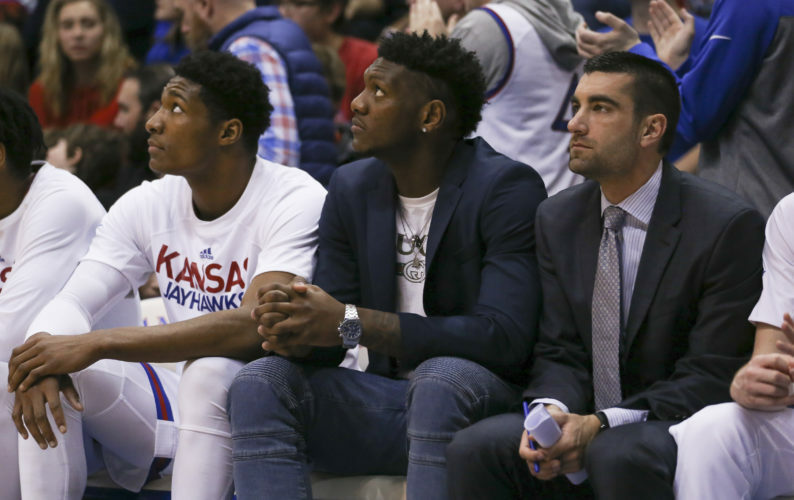 KU, which opens play at 8 tonight against host school Chaminade, has a much better shot of getting there. And regardless of how things play out, Manning will know how to handle whatever hand his young but improving team is dealt. 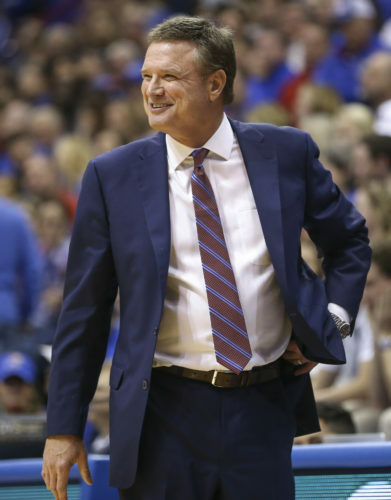 As an assistant coach with the Jayhawks, Manning helped KU reach the title game here during the 2011-12 season. As a player, Manning was not so lucky. Back in 1987, the Larry Brown-coached Jayhawks kicked off Manning’s senior season by going 1-2 at the island event, knocking off Chaminade in the opener before falling to Iowa and Illinois to take fourth place. Asked Sunday how much he remembered about playing here 28 years ago, Manning did not hesitate to take a trip down Memory Lane. And a couple of not-so-fond ones. As it turned out, Brown had a wild way of punishing his players for the subpar effort in Hawaii. “He took us out on a boat and told us to jump off and swim back,” Manning said with his signature, deep-rooted laugh. Win or lose, there will be no such boating expedition captained by Manning this week. 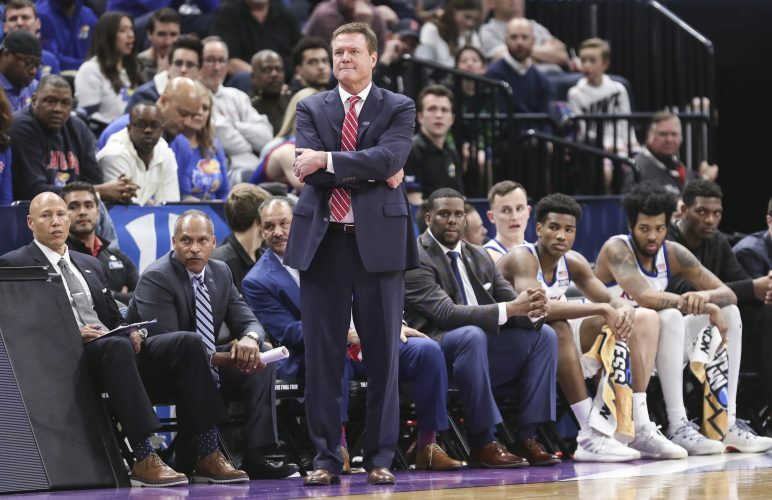 The Wake Forest leader, whose coaching staff features fellow former Jayhawks Brett Ballard, Steve Woodberry and Justin Bauman, is well aware of what it takes to rebuild a program from the two years he spent at Tulsa after leaving Kansas following the Jayhawks’ 2012 Final Four run. Manning’s squad might not be at the bottom of this tournament field, but it’s closer to the bottom than the top. Because of that, he’s hoping for a little of that Jayhawk love he knows so well to help the Demon Deacons in the early rounds. 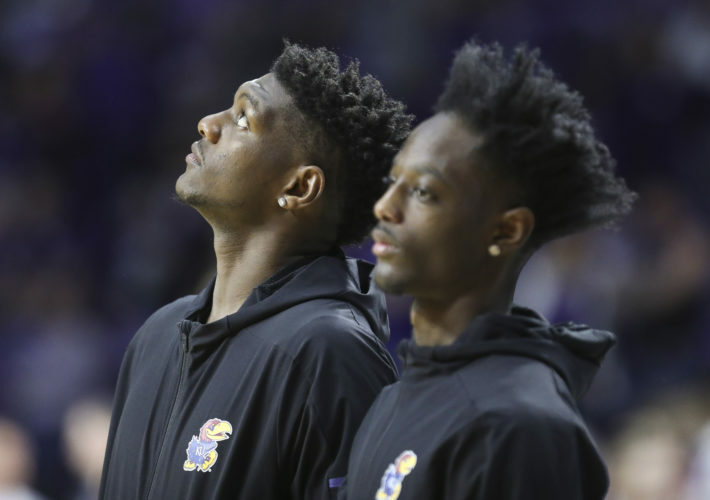 What if the unthinkable happens and KU and Wake Forest — father vs. son — square off in the title game?